People visit a blog more often if they know they can count on it being updated regularly. Consistently commit to post at least once each week, if possible. 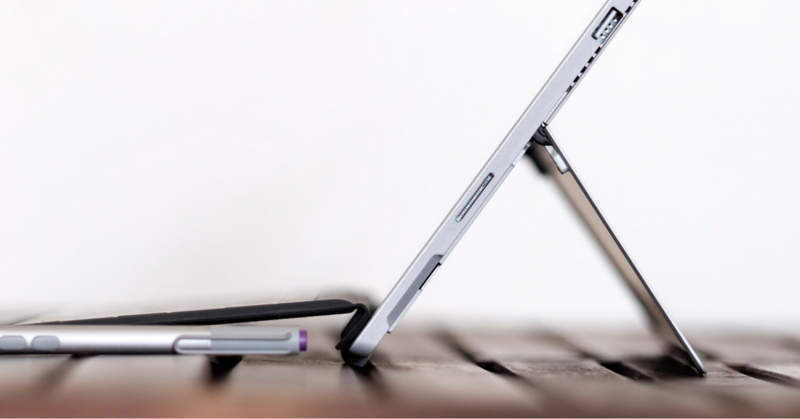 Need some in-depth help with creating engaging content for your readers? 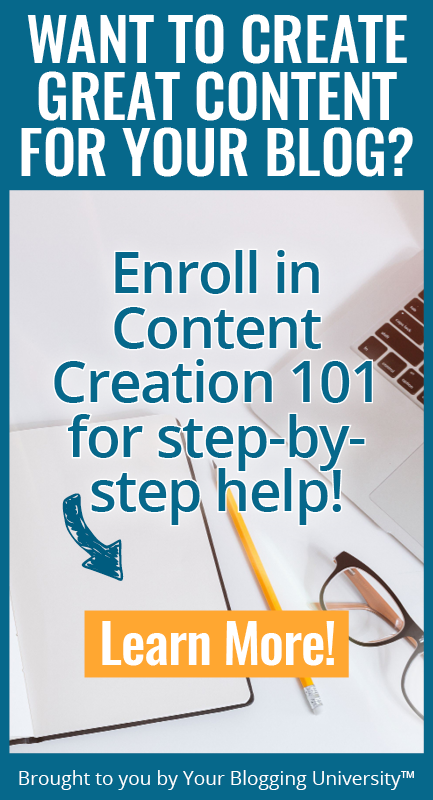 Enroll in our latest course, Content Creation 101! Even if they don’t open up the email newsletter and read it regularly, just seeing a post or email from you in their inbox reminds them that you exist and they will think to tell their friends about your blog or occasionally hop over to your blog if they readily remember that you are out there! Need some ideas for freebies to give away to subscribers? Check out this free download: 20 Brilliant Opt-In Offers. 3. Find a need & fill it. What need is your blog filling? When you find a need and are filling it, people are going to be attracted to you and are going to want to tell their friends about you — because you are meeting a very real need. For instance, when I started MoneySavingMom.com, I started it because so many people were asking me how to save money on groceries. I couldn’t find another blog out there that was matching the coupons with the sales, so I decided to start my own! 4. Comment on other blogs. Leave interesting comments on other blogs. If people like your comment, they are very likely to click on your name and wander over to your blog. Make sure your comment adds value to the discussion, though. Don’t just say “great post!” and then leave your link. Comments that sound like an infomercial for your blog or that serve no purpose other than to try and get people to click over to your blog are not something bloggers or blog readers appreciate. 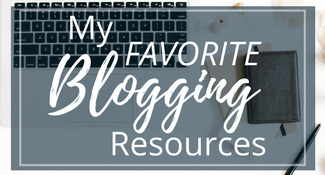 Many, many blogs (including my blog, MoneySavingMom.com!) 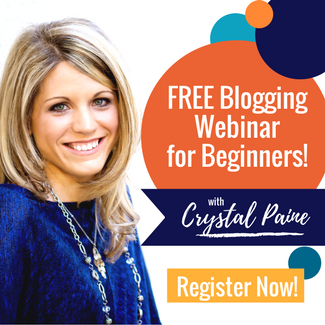 readily accept well-written, relevant guest posts and it’s one of the most effective ways to introduce your blog and your writing style to a new audience. 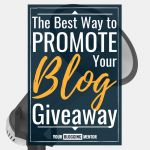 As an added benefit, if the blog you guest post for has a lot of traffic and ranks high in search engines, having a link or two to your blog on that blog will increase your search engine rankings, too. Make sure that your guest post is your absolute best work, is a great fit for the audience you are writing for, and is in line with what types of posts are on the blog you are guest posting for. When you write your bio for the guest post, include some type of incredible freebie offer (see above) that will encourage people to go check out your site and sign up for your email list. You want to convert them from a one-time visitor to your site to a long-term raving fan! 6. Use hashtags on Instagram. I adore Instagram and I think it’s a fantastic way to grow your online presence, connect with potential readers, and reach people who would otherwise never find you. The thing I love about Instagram is that it not only is a great way for people to discover your blog, it’s also a fantastic way to build deep relationships with followers. Instagram is a much more personal form of social media and I’ve found that the people who follow me there feel much more connected to me than those who just follow me by reading my blog posts. Psst! Are you following Your Blogging Mentor on Instagram? If not, what are you waiting for? Follow me here for blogging tips, tricks, and insider encouragement every week day. Okay, okay. I know it’s scary! But I can attest to the fact that live video has been one of the most effective marketing tools I’ve ever used. However, I’ve found that people who follow me on Periscope — even though it’s a smaller crowd — are much more engaged. I also recommend trying out Instastories on Instagram as it’s a great way to connect more personally with your audience. If you find a great blog or blog post that you think your readers would love, share it on your blog or on social media! Don’t keep a good thing to yourself. Back when I first starting blogging, if you blogged semi-consistently and were even remotely interesting, you had no problem getting readers. Nowadays, there are so many more blogs and it’s a lot harder to build your readership. One of the key components is to network with other bloggers. I’ve learned everything I know about blogging from more experienced and wiser people. They’ve given me counsel, they’ve taught me things I would have never figured out on my own, they’ve encouraged me with I was feeling burnt out or discouraged and they’ve challenged me to better myself as a blogger and writer. 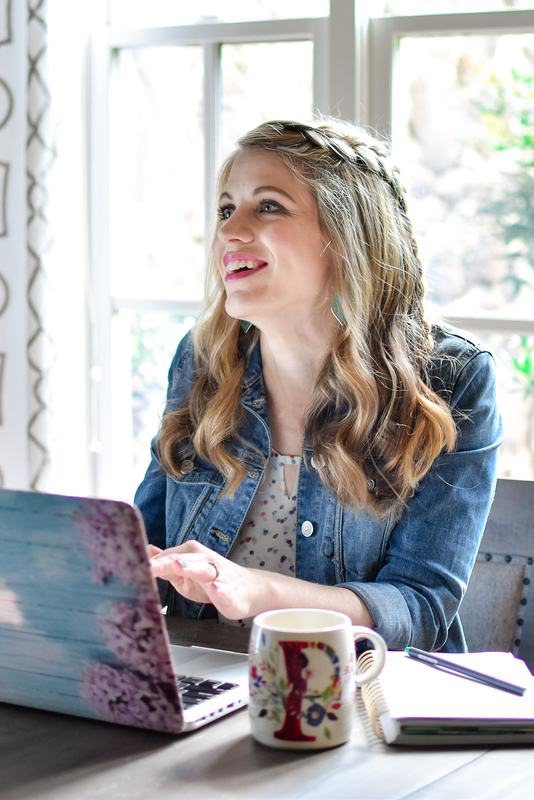 Partner with other bloggers to create series, team up with other bloggers to raise awareness about issues you care about, guest post on each other’s blogs, and share each other’s articles on social media. Always be looking for ways to join forces with other bloggers in a way that will benefit your readers — and theirs, as well. 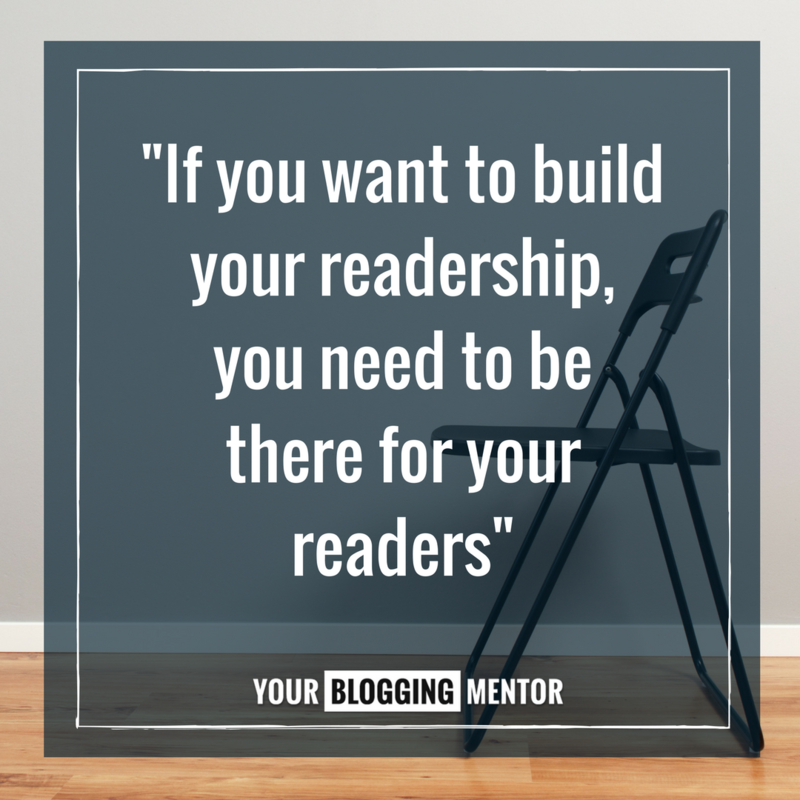 Finally, if you want to build your readership, you need to be there for your readers. Don’t just write a post and then disappear and let readers talk amongst themselves in the comments. Respond to questions asked and interact with your readers on a regular basis. In fact, when you are first starting out, you might to try to respond to all comments people leave on your blog. It encourages people to stick around and it makes them feel a part of a community. It’s totally okay to explain yourself to those who misunderstood your post or are offended, but it’s much more important to respond to the faithful, encouraging commentors. They care much more deeply about you than a fly-by-night nasty anonymous commentor ever does. In addition, listen to your readers: ask for their advice, welcome their input and let them know how much you appreciate them. People always ask me, “How do you do it all?” I think the important thing to remember is that I’ve slowly added new things — Facebook, Twitter, Pinterest, Instagram, an email newsletter, etc. If I had tried to set it all up all at once, I would have been completely overwhelmed. 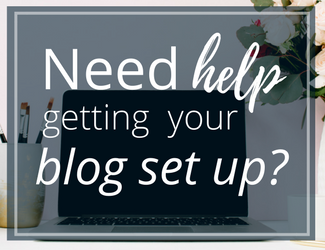 Pace yourself when setting up a blog. Challenge yourself to try new things little by little, don’t go and implement all these ten things at once. Pick one or two to focus on for the next few months. Set goals for each month, break these goals down into weekly goals and then work on them for 10 or 15 minutes each day. Over time, it will likely start to become old hat and you can add new goals and experiment with new ideas. However, remember to compare yourself with yourself only. There will always be another blogger doing a better job of this or that or the other. Don’t let it discourage you. Look at the progress you are making towards your goals — even if it seems very slow and minuscule — and be encouraged by that. What are YOUR best tips for getting more people to read your blog? I’d love to hear! I”m a brand new blogger so I don’t have anything new to add to your great list. However, I really appreciate your advice to “try new things little by little”. I tend to want to jump in and do everything all at once, and that only leads to frustration. As Aesop said, “Slow and steady wins the race”. Me too!!! 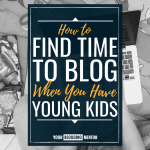 I look at blogs like Crystal’s and then get frustrated because I don’t have it all yet….. I found a fabulous way to increase traffic on my blog – within my niche. As a DIY blogger, I’m an active participant in the Hometalk community. Hometalk is incredible in their approach to working with bloggers! Any DIY bloggers really should connect with Hometalk. Theyre fabulous, and constantly adding new opportunities for bloggers within their platform. You mentioned live video – I broke into this with Hometalk. I’m a 100% introvert and I’ll be totally honest – I was TERRIFIED with my first video! It has gotten easier though and now I really do love it! Even if you can do it only on your own FB page…do it! Just stretch that comfort zone and go for it! Then do it again. And again. 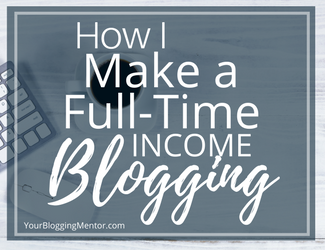 I can’t believe how much this has helped and positively changed both my blogging experience AND myself personally. And YAY for doing live video!!! Karen, I had never heard of Hometalk, but I’m checking it out right now. Thanks for posting the tip! Your comment reminded me of all the Gawker sites. CraftGawker, DwellingGawker, WeddingGawker, etc. Those are also great places to use to drive traffic! I recently launched my blog LifestyleAccordinglyBlog.com and I constantly have new questions. This post just answered many of my questions on the best way to build my email list when you are starting at zero. Now I just new to figure out how to integrate my opt-in into my site and email subscriber Mailchimp. If anyone has any advice I’m welcome to it! Woohoo!! I’m SO glad that this helped answer some of your questions! Most of my readership was coming from visitors searching for tutorials. I am attempting to capitalize on that using good key words and good titles. I’m still unsure of myself when it comes to collaborating with other bloggers, but I’m growing bolder on social media. I’m so thankful for your tips! That is SO fantastic! Thank you for sharing that tip… and I think it’s such a valuable reminder to really pay attention to what is working and to then change what you are doing (if possible) based upon what you learn! Love all these suggestions. I’ve found too that if I hold a giveaway. This has always boosted my audience. Hi Crystal, these are some great tips, which when combined can lead to lots of eyes on our blogs. I’ve tried most of them but admit that live video still scares me a bit. (Haha). Sharing my posts on social media and sites such as Pinterest helps a lot too. It’s always fun to welcome both new and seasoned readers back to my site. By the way, thanks for starting Your Blogging Mentor and sharing your pearls of wisdom with us. I KNOW you can do live video! I’m cheering for you! Focusing on Pinterest has been a huge win for driving blog traffic. While I’ve noticed not every article I write is necessarily designed for pinterest (some topics or styles do better), I still make a pin for every post and pin it to my “best of” board and any appropriate topic boards. I also pin it to appropriate group boards at least once. I had a pin that was maybe pinned 15 times all of a sudden get picked up by the right person, which then got shared on facebook. Pin everything, even what you don’t expect to do well. You never know who will find it. Such a great tip! Thanks so much for sharing! This is a great tip, June! I tend to only Pin the stuff I think will do well. But since I’m usually wrong about what will do well anyway (ha), I should definitely be pinning everything. Even if I don’t create a special Pinterest-friendly graphic I could still take a second and share. Thanks! I needed this! Ha my head is spinning with trying to do it all. Thanks for the practical tips and the room to breathe a long the way! Is there a yourbloggingmentour Facebook group? 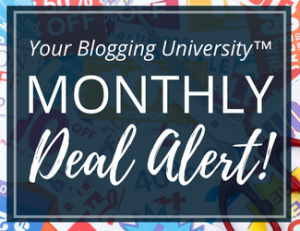 We’re starting a private Facebook Group for Your Blogging University students and plan to launch it when we launch our next course (that’s coming in 2-3 weeks). Stay tuned! These are great tips! I’m working on every single one, though it’s a slow process for sure ! Sometimes I need to take a step back and just revert to “maintenance mode” for awhile so I don’t get overwhelmed! That’s such a good tip and something we all need to remember! Great article. I’m adding to my list of sites readers should check out. Thanks for the hints. YES – I think pacing yourself is key. When I first began blogging 2 years ago I was initially overwhelmed by all of the information out there. One thing I am trying to remember is that even though there are a lot of blogs, I have a unique perspective to share. My blog may never be monetized or big but that’s ok. Right now my goal is to share authentically and encourage other moms. I needed the reminder not to compare. Thanks for the great tips! YES!! That is SO true! These are some really helpful tips that I hadn’t previously thought of. Thank you for sharing! Two questions: How can you tell if you are actually driving traffic to your blog from Instagram? My linktree says that people have clicked through but I don’t see anything reflecting that on Google analytics. Also, do you have any tips for making blog posts more comment friendly? I have gotten maybe 3 comments so far in the 1.5 months my blog has been active (supposedly I have had about 1,000 pageviews so far) . I’m SO proud of you for trying instastories! One easy way to track clicks is to use a bit.ly link for all links through LinkTree. That way, you can actually see exactly how many people have clicked through that particular link. We use this often — any time we want to get real-time tracking of a specific link. Also, I have a whole series coming up on Instastories (starting today!) on getting more people to engage with your content. 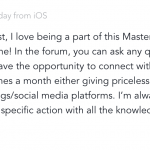 I will say, that it is easier to get people to comment on social media than it is on your blog. 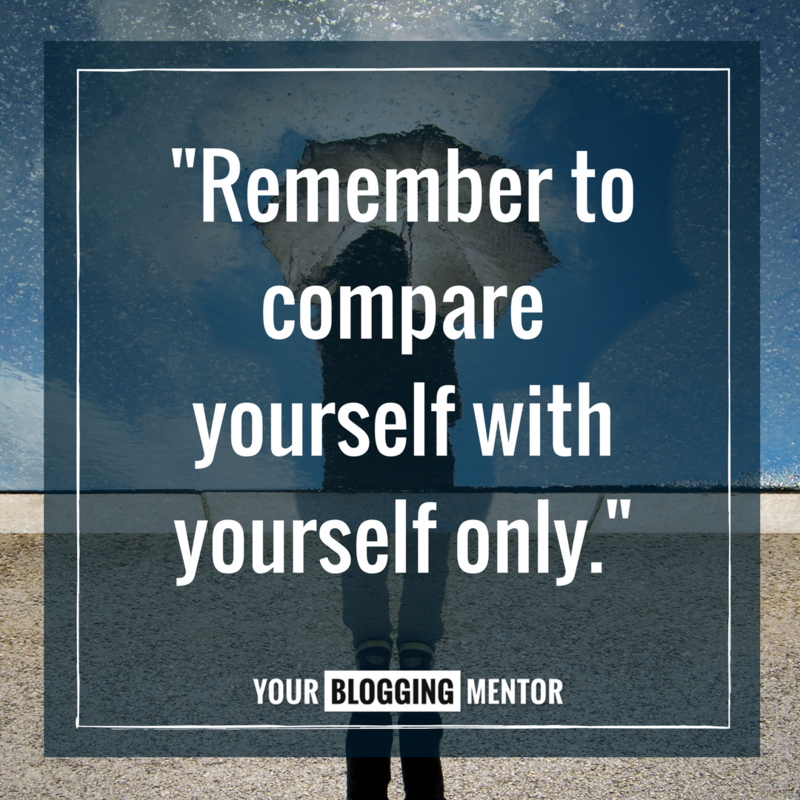 So don’t be discouraged if your blog isn’t getting many comments just yet. It takes time to build up an audience and to get people to feel comfortable with posting comments. I just implemented your tip on the bit.ly links! I never would have thought of using them in my Linktree! I also loved your instastory on giving people simple options for engagement. I have definitely been making everything way to complicated. Oh yay! I’m SO glad that it’s inspiring you to simplify! I think we have a tendency to make things harder than they have to be! Crystal, thank you for the post. Though I started my blog a few years ago, I just started blogging more consistently this year. I share my posts on Facebook and Twitter) and have added many likes/follows there, but have fewer follows on the blog itself. Is that ok? Should I be doing something different? What do you mean by fewer follows on the blog itself? Email subscribers or something else? Email subscribers. Readers are getting to the blog via FB or Twitter, but very few have signed up to receive email notifications when new posts are published. My advice is to have a sign-up box in a very obvious location on your site and to encourage people to sign up for it by offering some kind of freebie if they do. I also would recommend regularly encouraging people to sign up for your email list on Facebook and Twitter and in your blog posts. Great tips! Commenting is something I need to do more often, so here I am. 🙂 I’ve also taken note of your guest post offer! One of my biggest referrers is pinterest. Putting pinnable images in my post and pinning to group boards has made a big difference. I’m so glad that you found it helpful! And yes, Pinterest can also be huge! We’ll definitely be talking more about that here in the future! My lack of consistency is my biggest challenge! So tough for me! I’d be interested in more ideas on conversion from Instagram, too! If you follow me on Instagram, I do daily videos with practical tips and have been covering that some recently! Thank you for the useful tips! Your encouragement is wonderful. I am hoping to start using Instagram soon! I have two followers right now, so I’m certain it will go no where but up! Lol ;-). Networking with other bloggers through small FB bloggers groups has been incredibly helpful for me. Thanks for the encouragement! 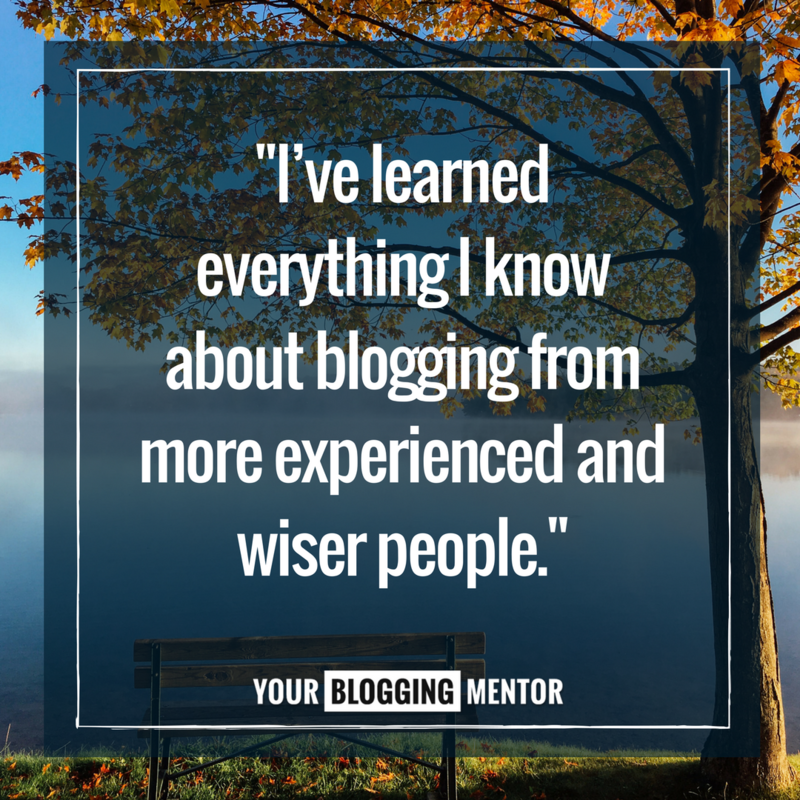 I appreciate you taking the time to share your best tips for less experienced bloggers like me. I’ve been blogging as long as you, Crystal, but have never really broken through, although I have created a very small small tribe. Things that have worked to increase my audience have been doing Facebook Group projects (I lead an annual month-long challenge helping people do something about modern slavery as they wear black) and I have another Facebook group that does weekly projects and random acts of kindness. These have been good for growth. Also YouTube, but I’ve just started using that more often. Also, because I’ve been online for a long time, I have found a I do get links back from google on super old posts (which are far from my best!). However I have done all of these things you mention, and I still don’t really grow much. Just a couple people a month or so. VERY slow. Honestly, I think “why I haven’t broken through” is simply because I blogged for myself rather than for others for much of that time. Yes, much of the time I’ve blogged it has been to inspire Americans to get involved in global issues, but more than anything it was my own outlet of frustration. It was my hidey-hole. But in the last two years I’ve been revamping my whole blogging world to be a service to others, and I thought that would change things. It has definitely​ changed me, but still without a lot of luck in growth of readers. I am not sure why, though. I find building trust in real life relationships very easy, and my blog ends up aiding me increase trust in real life. But I still don’t feel like I know to do that well online. I have begun taking the time to guest post more, which has some payoffs, but my niche is mostly run by nonprofits, not individual bloggers (except for a some exceptions I’ve found, but even then it is just an overlap, not the same thing). I can’t decide if there is difficulty because I am trying to build a niche not owned by nonprofits from scratch, or if I am not trying to connect with those out there that have some overlap enough? A lot of people I meet in real life want the service I am trying to give, which is essentially helping people on a journey so they can find their best way to make a difference in the world. It is kinda 1/2 life coaching and 1/2 global affairs–targeting adults who are already busy with jobs and raising their families, are kinda wondering where they lost their dreams, and really still want to make an impact in the world. I meet my perfect audience in real life, so I know they are there! Even though I’ve redone my marketing a couple times (and am always trying to shift it and reword things), finding both online partners and finding that audience in a way where they become part of the tribe (meaning, I must be serving them enough that they find it valuble enough to stick around) has been super hard. I have been trying to use a lot of Storybranding, to clarify, which has undoubtedly helped, but I need to implement it much more in my design. And I am not sure I am hitting the mark with the language and the surveys I’ve sent out haven’t given me any feedback that is implementable. I can’t seem to find a great freebie that hits both sides of things I talk about–making a difference in the world on global issues AND discovering who you are. My readers either like just one or the other, but I feel like they are super interconnected and the message I am sharing I might I be being missed. In the end, I assume it is because I need to keep persevering to just do all these things a little better and for longer. The whole discipline, excellence, and not giving up thing. But the rest of the time I logically wonder if I have just missed something glaring, and in the bad times, I wonder if I am too boring to create an online platform! Point being, I love these ideas and they have all helped me grow my audience. But, for a future blog post topic, for an intermediate+ bloggers, when do we give up if we try it all and nothing happens? 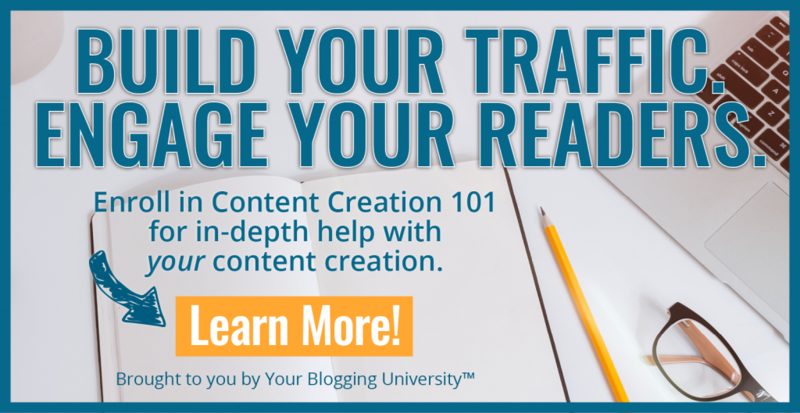 I know many bloggers fail for a long time (Jeff goins and Michael Hyatt both mention this in their content). But I’d love to hear your opinion and advice, as you have seemed to grow well within your niches and know when to move forward. I think I have read a story of failure of yours too, but it obviously didn’t strike me as dramatic as I just see the sucess side! 🙂 Thanks! 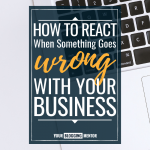 Okay, I’m going to be really honest with you because you seem like someone who can take this and someone who has put a LOT of time, thought, effort, and intention into your blog: I read your comment and I can’t figure out who you are for or what you do. So from my standpoint, that’s your issue. If you can’t tell me in two sentences exactly who you serve and how you are uniquely doing that, THAT is likely the reason your audience is not growing. Because people can’t figure out why they should follow you. They need to know what you are going to do for them. How are you going to change their life/impact them/serve them? I noticed a lot of wishy-washy language in your comment when you were describing what you do and who your audience was. To put it really bluntly, that sounds vague and inconclusive to me. Like you really haven’t settled on a target audience or target objective. There should be no “kindas” when it comes to your mission statement. You either are this or you aren’t this or you haven’t defined it and you need to. I also think that if you can’t come up with a freebie that would target your ideal audience, there’s a good chance you don’t truly know who that audience is. Maybe you are trying to be for everyone? Or for too broad of an audience? It sounds like you are trying to do a bunch of different things and there’s a good chance people aren’t sticking around because they don’t really know what you are for, how you are going to help them, and what it is exactly that you do. How are you going to make a difference in my life today? How is following you going to change my life? What are you going to empower me to go and do? Why should I follow you and not the hundred thousand other bloggers out there? What makes you unique and different? Why is your story and perspective one I should trust and listen to? What is the heart story behind wanting to empower others to make a difference? I spent some time on your site tonight and never found that. That story needs to be woven into everything you do. An entirely separate issue is whether your blog’s topic is broad enough to garner a large following. I think that it is — with some major sharpening of your message and bringing more of your own story and passion into it. I think you need to consider whether or not you have two blog ideas you’re trying to make happen — life coaching women to live with intention and global affairs for the ordinary person. I’d really step back and ask yourself which you want to do. Both are very strong possibilities, but I think it would be hard to do both on the same platform and do it really well. There is some overlap between the audiences, but it’s two different things. These are just my thoughts based upon your comments and spending some time perusing your blog. Thank you for letting me be super, super honest. And please feel free to throw all of this out because I could have totally missed the mark since I don’t know you personally and haven’t been reading your blog for a long time. And know that all of this is said in love and with a lot of warmth and care because I think you genuinely are asking for my advice/input. Oooh, I just remembered another good way I’ve gotten people to my blog is through public speaking! Great tip! Thank you for sharing! Crystal, I was going to throw you a compliment on your great tips for expanding readership. But after reading your reply to Elisa I was struck by how much time you devoted to addressing her every point. Even took the time to go to her blog, spend time on it and give some valuable insight (for all of us). What a generous reply. Thanks! I actually found what you wrote in another comment to hit straight to the point for me. I have just started my first blog and have identified a target audience, but I’m realizing I need to fill in more about my motivation and passion for the blog, as well as what I have to offer my audience. I appreciate the insights! I’m so glad you found it insightful and helpful. Yay! After reading this post awhile back I submitted a guest post to moneysavingmom.com. I want to thank you and your team for allowing me to guest post! It more than doubled my subscriber list and I even had moms reach out and ask more questions. This gave me the motivation to keep going and continue working hard. I am extending my sincere thank you for the opportunity to guest post. I am so grateful. Oh yay! That makes me SO happy!! Hi Crystal! I love all of your websites! 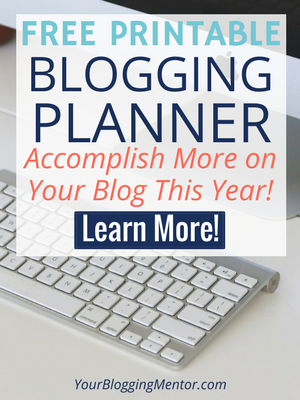 This one is so great for inspiring and helping us fellow bloggers. Thank you so much for devoting your time in this! I have a question and I am not sure where to ask it so I am putting it here. How do you know when you have out grown your current blog hosting platform? My blog isn’t quite ready to “upgrade” to a better hosting platform, but I don’t know how to tell when it is. Great question! For me, it was when the current platform is no longer working well (there are glitches, etc.) or it’s no longer serving me/my audience well. I know those reading this question will be shocked, but I have never used Pinterest and don’t know how it works. I have a new blog and feel that would be a good avenue to bring in readers (any readers at this point). But, I don’t know how it works. I set up an account, but that is as far as I have gone. Is there a tutorial for Pinterest, or just some help on how to make it work with my blog?